During a memorable evening of poker, dinner and cocktails that featured current and former professional athletes, Irvine Public Schools Foundation (IPSF) and Angels Baseball Foundation hit the jackpot, as the 5th Annual Aces and Athletes Poker Tournament and Charity Casino Night raised over $50,000 to help fund crucial programs for students in need. 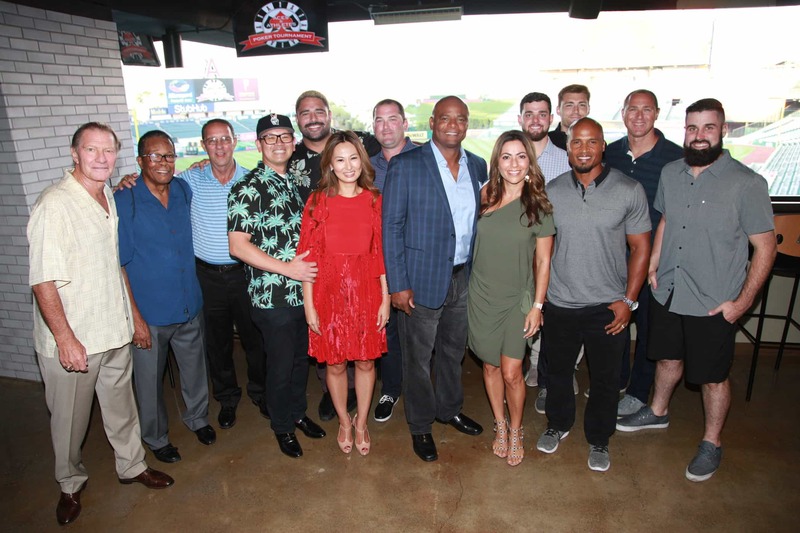 Presented by sponsors Dr. James P. Lin and Mrs. Grace Lin on July 16, the 5th Annual Aces and Athletes Poker Tournament was held at the exclusive Don Julio Club at Angel Stadium. This year’s athlete lineup included Cam Bedrosian, current Los Angeles Angels Pitcher; John David Booty, former USC/NFL Quarterback; Rod Carew, Hall of Famer, All-star, and Major League Baseball MVP; Shaun Cody, former USC/NFL; Bobby Gritch, All-Star, Hall of Fame former Angel; Jason Lezak, former USA Olympic Gold Medal swimmer; Warren Moon, NFL Hall of Fame Quarterback; Dave Romney, current LA Galaxy Defender; Matt Shoemaker, current Los Angeles Angels Pitcher; Aaron Stecker, former NFL and Super Bowl Champion; and Clyde Wright, All-star and former Los Angeles Angels Pitcher. This year, more than twenty companies and community organizations sponsored the tournament. IPSF welcomed an extended list of returning and new sponsors, including Angels Baseball Foundation, Reproductive Fertility Center, SchoolsFirst Federal Credit Union, Konica Minolta, Rutan & Tucker, LLP, The Fox Group, Neiman Marcus, Habana, The Resort at Pelican Hill, Hamamori Restaurant & Sushi Bar, LA Galaxy, Diptyque, The Catch, South Coast Plaza, Kendra Scott, EATS Kitchen & Bar, Manhattan Stitching Co., and USC Athletics. Thanks to their generous involvement, IPSF can increase its commitment to providing scholarships for low income students to participate in afterschool and summer programs.